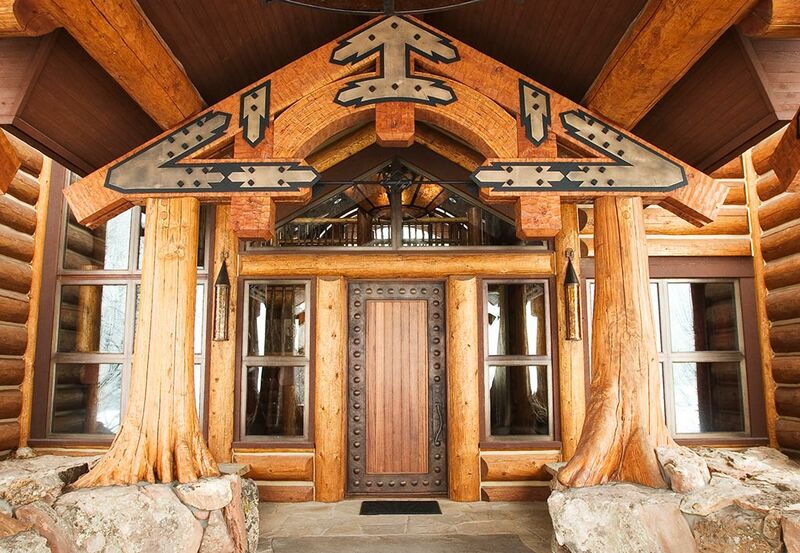 Log & Timber Works crafts custom designed, log structures from a variety of wood species such as Spruce, Douglas Fir and Western Red Cedar. 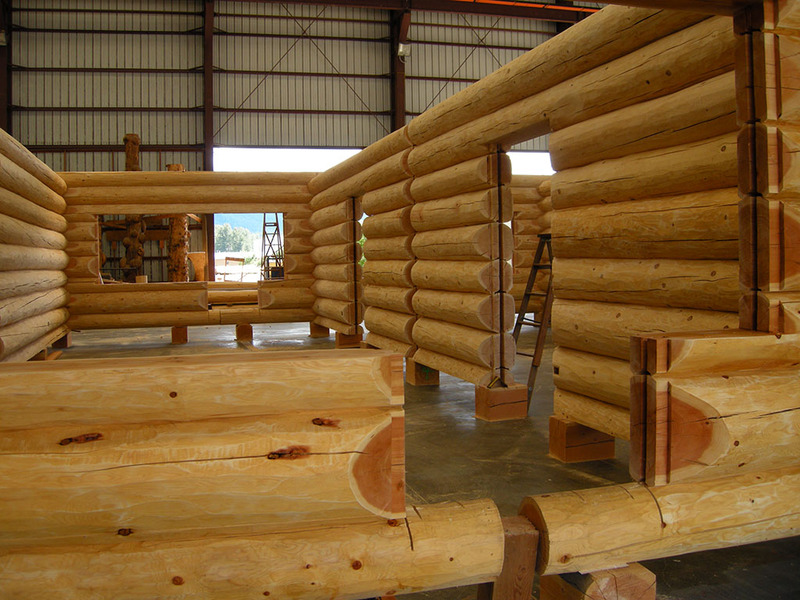 Log selection is handled by our certified craftsmen to ensure logs are free of natural defects such as unacceptable spiral grain, bugs, rot and ring shake. We build homes from green, air dried, standing dead or kiln dried logs. 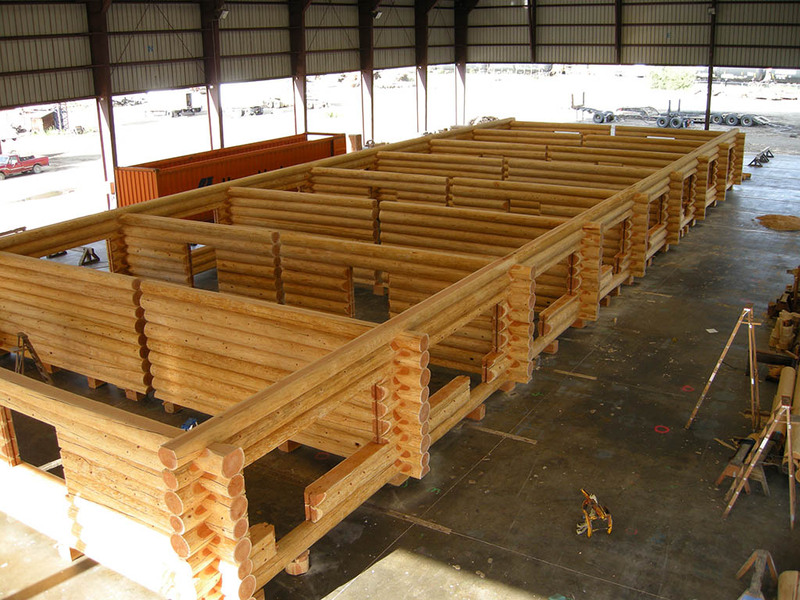 All log homes settle, but the amount that they settle depends on the type of material and the method of log construction used. 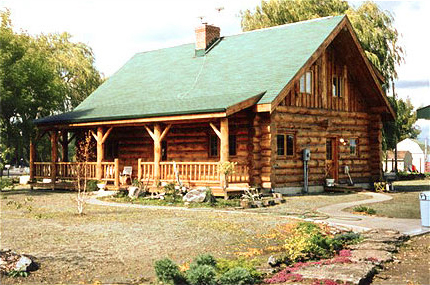 Log home settling is related to the drying and moisture content of the logs used. 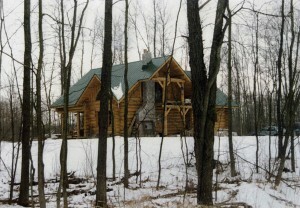 The sap wood (or outer rings of a log) contains most of the moisture in a log, shrinking more than the heartwood (or interior rings of a log). 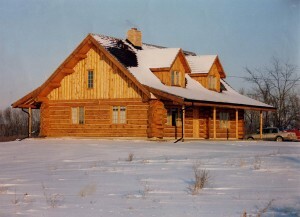 In a square timber “log” home most of the sapwood is removed, resulting in a home that will settle less than a home constructed from full size logs. 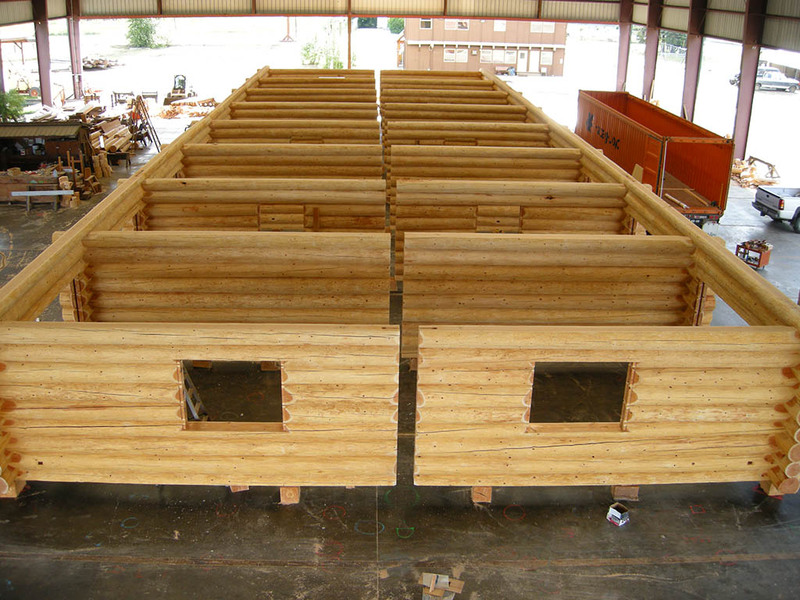 In log homes constructed from standing dead or kiln dried material the moisture content, although less than in green material, is still sufficient for settling to occur. A system of jacks is used to manage settling. 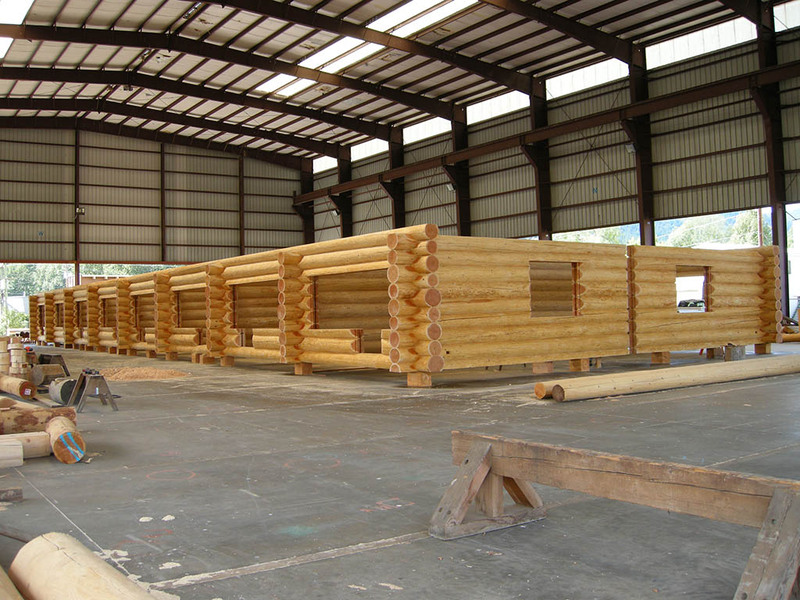 With over 30 years experience in the log construction industry, Log & Timber Works builds to meet and exceed the International Log Builders’ Association’s Log Building Standards. What is the Difference Between Hand-Cut and Machine-Cut? 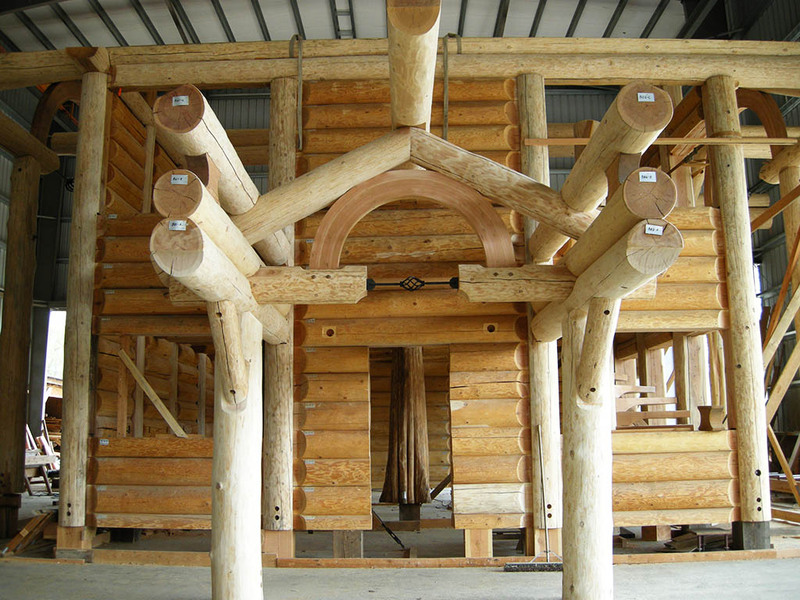 The fundamental difference between hand-cut and machine-cut log homes is that whole logs are used in handcrafted log structures. 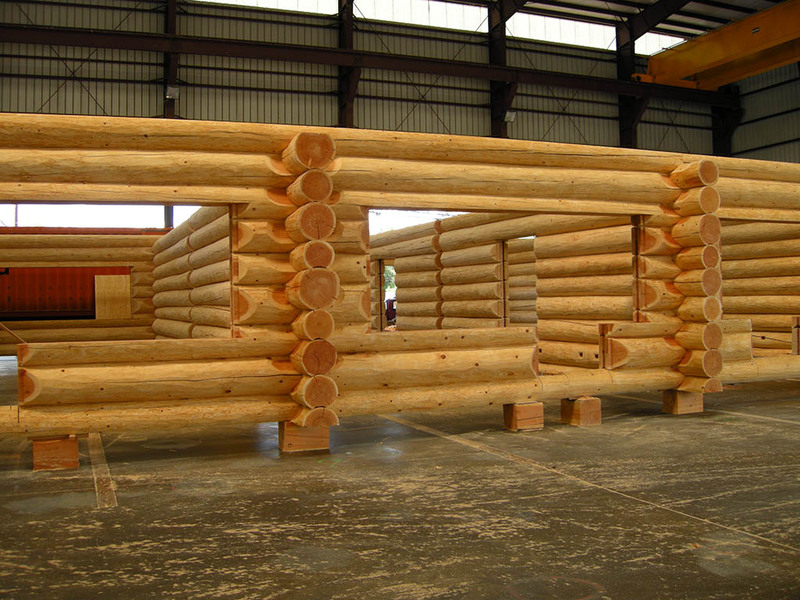 Machine-cut log homes are constructed with material that has been cut, planed and milled to create uniformity among the pieces. 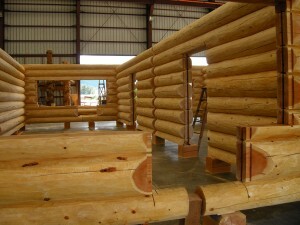 This process removes most of the natural characteristics of the logs. 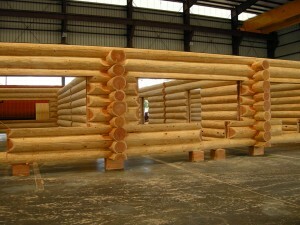 The hallmark of a well handcrafted log structure is the use of full length logs to build the walls. Machine-cut log structures may have butted joints within their walls. 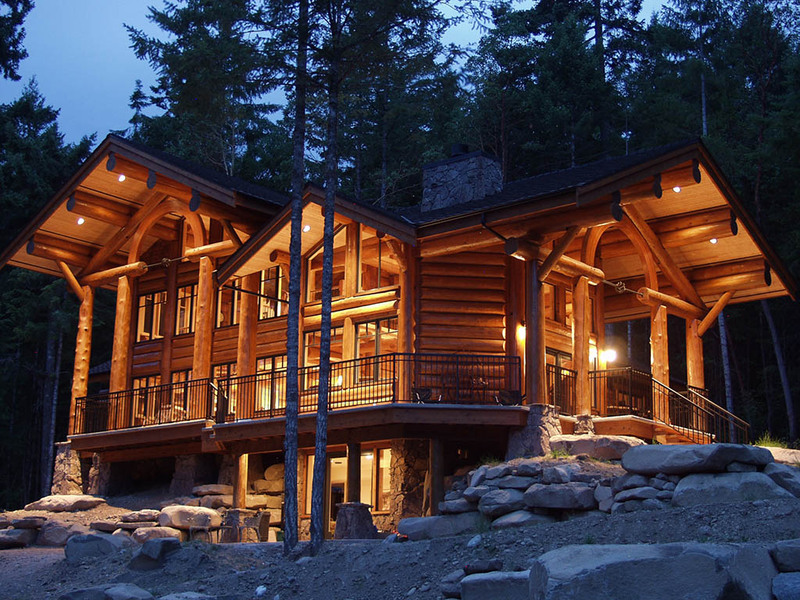 We highly recommend our clients employ subtrades with demonstrated experience in log homes to handle the finishing work on your project. 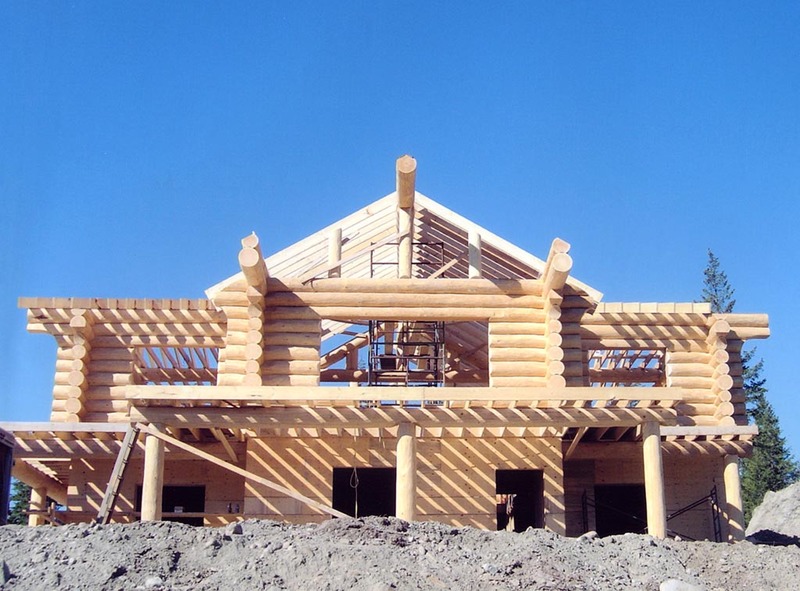 Log & Timber Works reassembles your log shell on an existing sub-floor and all necessary work required on the logs will be performed by us (i.e. 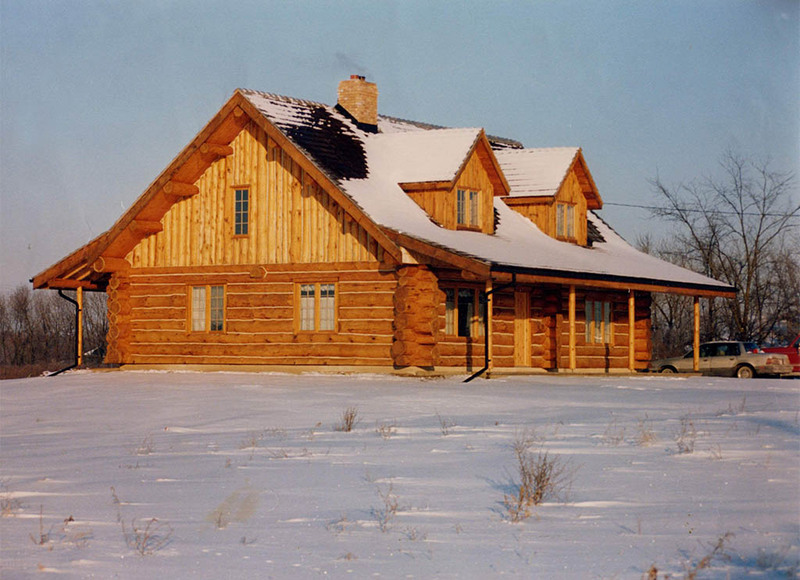 : electrical holes and chase ways cut and drilled, window and door openings cut, and all necessary work to accommodate lighting fixtures, etc. 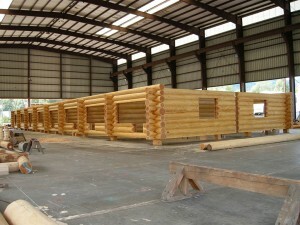 ), providing you with a “carpenter ready” building. 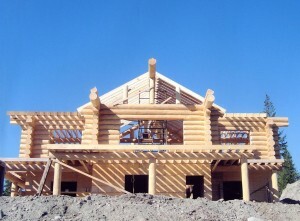 Log & Timber Works will also act as consultants to any sub-trades unfamiliar with appropriate finishing techniques for log structures. 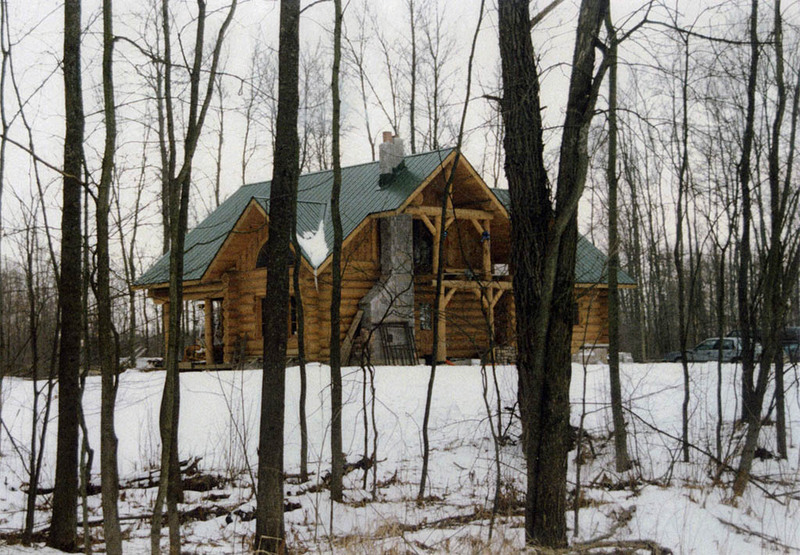 The best protection for your log home is good roof overhang, a critical element in the durability of your home. 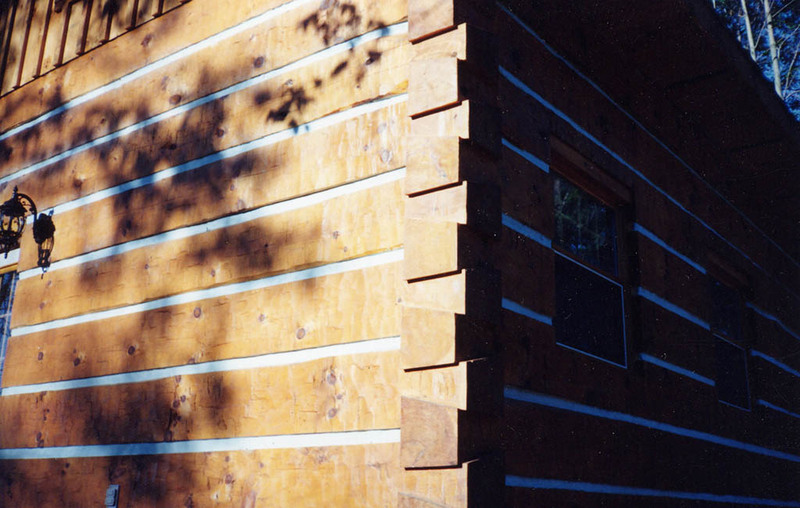 Appropriate overhangs should be no less than four feet (i.e. : 48 inches). 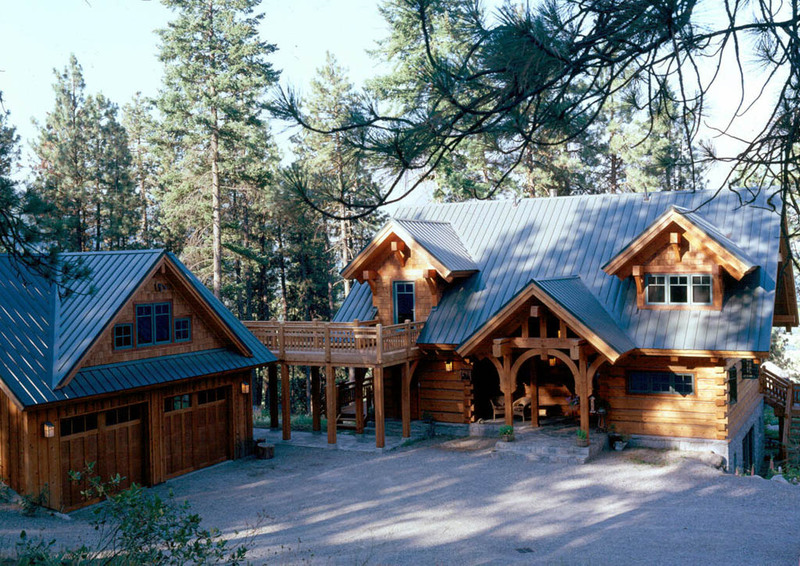 An excellent exterior wood finish is important as well, but it will not make up for insufficient roof overhang. 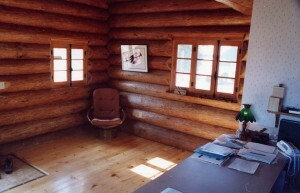 Other details to consider when finishing and maintaining your log home include interior stain colour and finish, exterior stain colour, chinking colour (Log & Timber Works recommends that all log homes be chinked to improve energy efficiency), and lateral insulation material (soft cell foam or sheep’s wool). 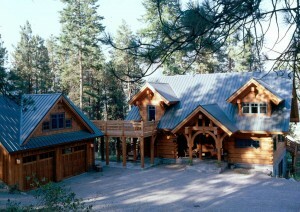 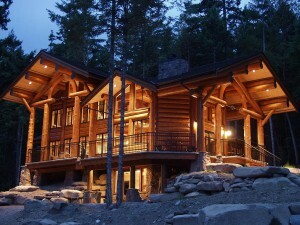 In all cases it is imperative that only products specifically designed for log homes be used. 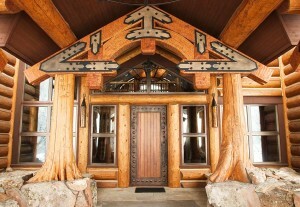 If you have questions about constructing, finishing, and maintaining your log home, please contact us.